If you’re reading this, chances are that you have one or more RetroSkiers on your Christmas list. What do you plan to get them? Well, here are some suggestions. Number one on my list is “Freedom Found: My Life Story” by Warren Miller. The book just came out this summer. Warren uses his own inimitable style to tell his progression from ski bum to one of the most respected names in skiing. I’m not sure if this is available locally, but it is online. 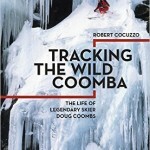 Another new book with 5-star reviews is “Tracking the Wild Coomba”, the story of extreme skier Doug Coombs, written by Robert Cocuzzo. RetroSkiers can appreciate a skier that pushed the limits. That book is available at the Vermont Ski and Snowboard Museum. 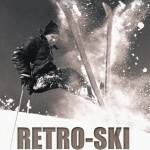 Of course I’d be remiss if I didn’t plug my own book, “Retro-Ski: A Nostalgic Look Back at Skiing”! Definitely a good gift for any RetroSkier. Some other ideas from the Vermont Ski and Snowboard Museum include DVDs such as “Legends of American Skiing”, “Fire on the Mountain”, or “Passion for Snow.” There are also old issues of skiing magazines that are available for sale. Every now and then you find an issue that triggers great memories from the past – the skis you loved, the ski trip you took, or that one-piece, fluorescent ski-suit you wore!